Rhyming is an important pre-reading skill for young children to master. Repetition is necessary when learning to read. Kids love books and songs that rhyme and they will sing and read them over and over again. Rhyming words teach children word families such as hat, cat, bat and mat. It also reinforces phonological awareness. Phonological awareness is the ability to identify and work with language sounds. Once children can master this skill it will help them with more complex reading and writing skills. What better way for children to learn rhyming words than with a book they make themselves. If you are looking for a preschool rhyming booklet to make in your classroom, you have come to the right place! With the help of books, poems and songs that rhyme preschoolers will learn to read and write with ease. Preschool children thrive on sensory stimulation. Help your preschoolers develop their tactile senses and learn rhyming words while creating a rhyming book using a variety of tactile objects. Print out a copy of the rhyming book in the media gallery on heavy card stock paper for each student (see link above). The teacher will read each page in the book with the class. The children color each page in the book and add a tactile object to each booklet page. 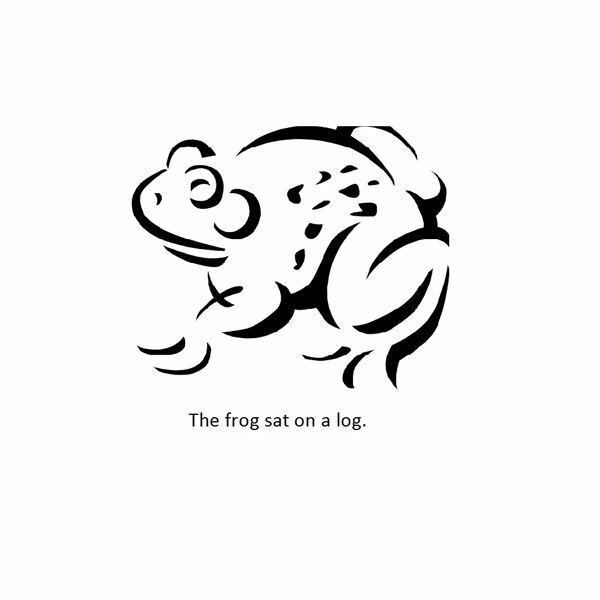 Page one says “The frog sat on a log." 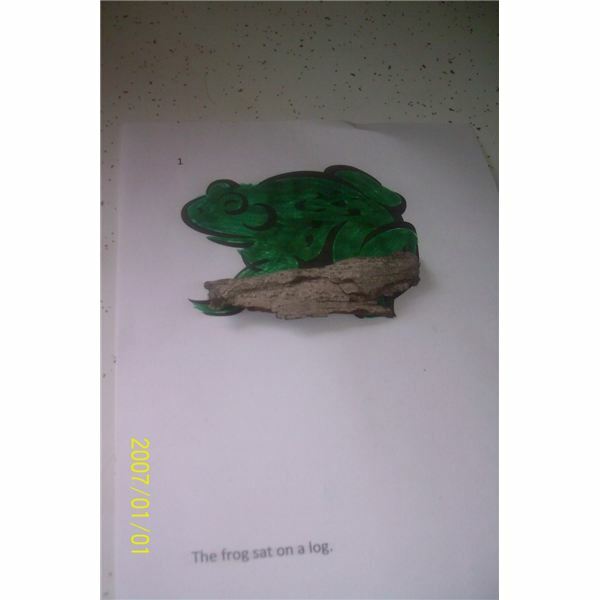 Students will glue the stick or tree bark under the frog after coloring it. Page two in the book reads "The bug sat on a rug." Students will make a bug to glue on their rug by cutting a red oval from the red foam and several small circles out of the black foam using a hole puncher. Students will glue the dots to the red oval ladybug body. When the ladybug is dry glue the bug to the rug. It may be a good idea to have the bugs made ahead of time before having students make the rhyming book. Page three reads, "The star is above the car." Have children outline the star with glue and sprinkle the glitter on the star. Use the yarn to make a wig on the pig on page four and glue the rubber band on the mouse's tail and cotton balls on the body on page five. For the last page, outline the hand with glue and sprinkle with sand. Once the book is dry, punch three holes in the left hand side of the book pages and tie the pages together with yarn. Kids will enjoy reading and feeling their book for days to come. Children will practice rhyming and learn about the four seasons while making the seasons rhyming book. Print out the seasons rhyming book for each child located in the media gallery (see link above). Preschoolers will find the picture and word that rhymes with the highlighted word on each page of the booklet. Using scissors students will cut out the rhyming words and pictures and glue the correct rhyming word on the line and the corresponding picture on the top of each page. When finished encourage children to draw a scene to go with the rhyming word on each page of the booklet. Punch three holes in the left side of each page and thread with yarn and tie the book together. Read the book with the class and let them read their books to a friend. There are many ideas for a preschool rhyming booklet to make with your class. Sing the "Crayons in the Box," song with your preschool class. Print the song out on white paper and a variety of pages with different rhyming words and colors on each page. Page one in the book would consist of the entire poem. Page two may say "But the one little color that rhymes with "jello," is my favorite color, it's the color ______. The children would draw a crayon on the space using the correct color for the rhyming word on each page. Once the booklet was complete, the teacher would help students write color words below each crayon. Kids love rhyme and rhythm and they will enjoy singing songs and making rhyming books that will help them learn to read and write. Book Ideas, Photos and Printables by Lisa King all rights reserved.